Dear Tony, it is a comfort to see you back on your blog posting your in depth pondering articles on metaphysical topics. 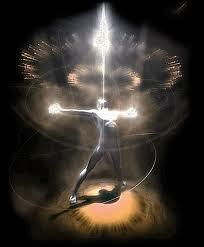 I would like to learn more about the spiritual aspect of all life being energy. I especially found the information you presented about auras and Kirlian photography interesting. The aura colors that appear, and even picking them up after death. I know from the Bible that our physical becomes back to dust from which we came from at death (decomposing), and the breath of life God gives us returns back to Him at our departure (our spirit). We are NOT given immortal spirits or immortal beings UNTIL Christ returns at the resurrection and bestows it upon us as a gift. Only God Himself is immortal. At death we are asleep until Jesus comes to wake us up, giving us a new quickened body with an immortal spirit to match His own. But it will feel instantaneous, even if we have been in our grave for thousands of years. Consider these scriptures. Ecclesiastes 12:7 – and the dust returns to the ground it came from, and the spirit returns to God who gave it. Rev 22:12 And behold, I come quickly; and my reward (immortality) is with me, to give every man according as his work shall be. 1 Tim 6:16 God, Who only hath immortality, dwelling in the light which no man can approach unto; whom no man hath seen, nor can see: to whom be honour and power everlasting. Amen. Psalm 22:29 all they that go down to the dust shall bow before him: and none can keep alive his own soul. I am uncomfortable with Jesus being referred to as a prophet (even though that was one of his roles) because He is impressively and exclusively – God in the flesh,The only begotten SON OF GOD< and the ONLY one who could be both God and man to tell us exclusively what His Father in Heaven wants us to know about life and death…..as he came from the spiritual world into the physical to disclose these things and give hope for eternal life. Jesus made it clear that when He returns, He will bring the gift of immortality with Him. For those who believe in Him, will know the Father in Heaven. I believe our energy is the spirit within us that returns to God at our death, like a computer chip of our personal information/personality/thoughts, that is then stored with God until our resurrection when it is returned and quickened inside a spiritual body of immortality for eternal life. There are hundreds of scriptures that speak of only God being immortal and we cannot will of ourselves to be immortal without Jesus bestowing us with that gift when He returns. Someday our new immortal selves will be like Christ with amazing abilities unlimited potential to create and expand our knowledge with God's blessing. In our sinful fleshly bodies now, we do not have that right yet. We can communicate with God and feel His Holy Spirit within us…but we ourselves are not immortal spirits at this point. But what a blessing it will be when we finally see God face to face and cast our crowns at His feet, and He tells us what our individual responsibilities and positions are in the new Kingdom to Come. I can only imagine! It gets me excited. I say, "Come Lord Jesus Come!" What a beautiful paradise earth will be when it is burned and recreated for God's Kingdom.